My name is Pearl. At 21 years of age, I am the first born of my mother who is a single parent. I live with my mother, younger brother, and my grandmother. I graduated from Wesley Girls High School in 2015, where I was a science student. It was at Wesley girls that a team from Ashesi University came to give us a three-day crash course in Robotics. That was where I was drawn into a life of programming. I let go of my dream of going to medical school and applied to major in Computer Science here at Ashesi University. So far, I have not once regretted this choice. Had it not been this scholarship, I would not be at Ashesi University. And me not being at this school means I would have been somewhere else, and I would not be exposed to the unique model of education that has helped me find myself. I would not have access to the amazing opportunities to achieve most of my dreams at a very young age. Communicating with my mates outside Ashesi and in my interactions with people from all over the world, I realized the value of the education I am getting here which has set me apart from my mates and opened up my mind to valuable knowledge. I applied to Ashesi knowing I had a lot of potential, but I had no idea what and how to unleash it. But in my final year, I know I am leaving refined and with skills that I know will make me a gem to employers and the entire world. I want to use this opportunity to share my heartfelt appreciation to all donors who have helped improve the value of my life. I would not have grown to be the woman I have become if it was not for you. Thank you. I have been a Melton Fellow since my second year and it has given me the opportunity to explore the world and work on various social projects all over the world like sanitation and mental health. It has helped me network with people all over the world and help me build many skills including project management, design thinking, speaking skills, etc. Through a fully funded Melton opportunity, I spent this summer in Japan preparing and teaching a Design Thinking seminar to high school students at HLAB Tokyo 2018. I also did freelance consulting and designed contracts for companies. I also spent time with students from Sweden who helped out with Ashesi’s Introduction to Engineering course by helping them feel at home in Ghana and going on mini-tours with them. Last semester, I took software engineering and I learned about what goes on behind the scenes of software development. It helped me recognize that my interest in computer science is skewed towards business and product development instead of the actual building of the product. This course enlightened me on the importance of giving much thought and research to make sure that the product is exactly what the user needs. 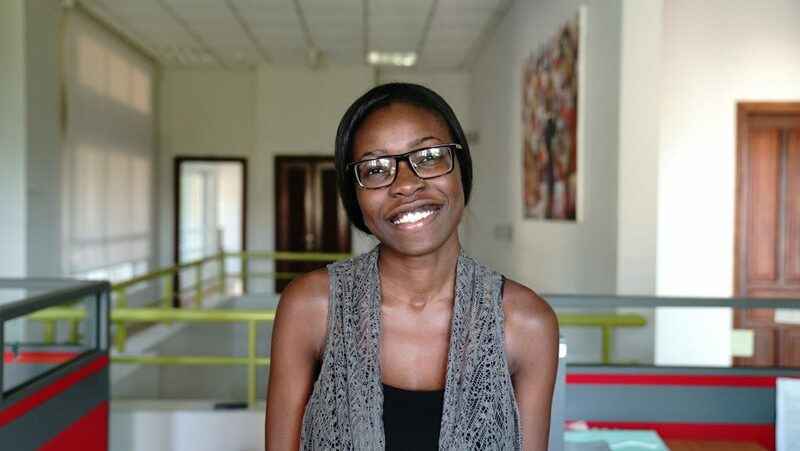 After Ashesi, I am looking to pursue a master’s degree in either design and education and look for work opportunities in the fields of Human-Computer Interaction, Software Engineering and Design Thinking, and or Academia. I also hope to launch a number of entrepreneurship ventures to help address pressing needs for people in Ghana and all over the world.